"Likely to remain for many years the most thorough and best possible introduction to this intriguing region." Patagonia is the ultimate landscape of the mind. Like Siberia and the Sahara, it has become a metaphor for nothingness and extremity. Its frontiers have stretched beyond the political boundaries of Argentina and Chile to encompass an evocative idea of place. A vast triangle at the southern tip of the New World, this region of barren steppes, soaring peaks and fierce winds was populated by small tribes of hunter-gatherers and roaming nomads when Ferdinand Magellan made landfall in 1520. A fateful moment for the natives, this was the start of an era of adventure and exploration. Soon Sir Francis Drake and John Byron, and sailors from Europe and America, would be exploring Patagonia s bays and inlets, mapping fjords and channels, whaling, sifting the streams for gold in the endless search for Eldorado. As the land was opened up in the nineteenth century, a crazed Frenchman declared himself King. A group of Welsh families sailed from Liverpool to Northern Patagonia to found a New Jerusalem in the desert. Further down the same river, Butch and Sundance took time out from bank robbing to run a small ranch near the Patagonian Andes. All these, and later travel writers, have left sketches and records, memoirs and diaries evoking Patagonia s grip on the imagination. From the empty plains to the crashing seas, from the giant dinosaur fossils to glacial sculptures, the landscape has inspired generations of travellers and artists. LAND OF MYTH AND LEGEND: the big foot Indians and sea monsters; the mad King of Araucania and Patagonia; penal colonies and Nazi fugitives. LAND OF EXPLORERS AND SETTLERS: Magellan and Drake; the journey of the Beagle; Welsh migrants and gauchos; Salesians and sheep farmers. 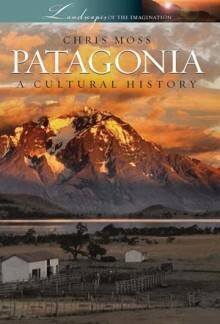 LAND OF WRITERS: W. H. Hudson and Charles Darwin; Chatwin and Theroux; Baudrillard s post-modern Patagonia. CHRIS MOSS was born in Lancashire and after studying Theology and English Literature at King’s College, London and Liverpool University, he went to live in Buenos Aires. After six years working as a teacher, he began to write for the local English-language daily, the Buenos Aires Herald, and filed stories on arts and culture in Argentina for the UK and US press. He also helped set up a magazine for the homeless, Hecho en Buenos Aires, and wrote and co-edited Time Out guides to Buenos Aires and Patagonia. On returning to the UK in 2001 after a decade overseas, he realised most editors wanted to send him back to Buenos Aires. He has returned to Argentina many times and has also been to every South American country at least once, and to Central America and the Caribbean several times too. His travel writing, for Wanderlust, the Daily Telegraph and Financial Times, among others, has also taken him to Kamchatka, Altai, Greenland and South Georgia, as well as every corner of Spain – his preferred short-haul escape. Between trips he has worked on the staff of the Daily Telegraph and Time Out magazine, London. He has contributed to more than twenty guidebooks, as editor and/or writer and has been awarded prizes by the Latin American Travel Association, Visit England and the British Travel Press Awards.